At KM Associates, we take immense pride in the relationships that we have built these past 20 years as your expediting, zoning, and code consultant experts. Moving your project forward has been our defining purpose and we are excited about the successes that the next 20 years will bring! 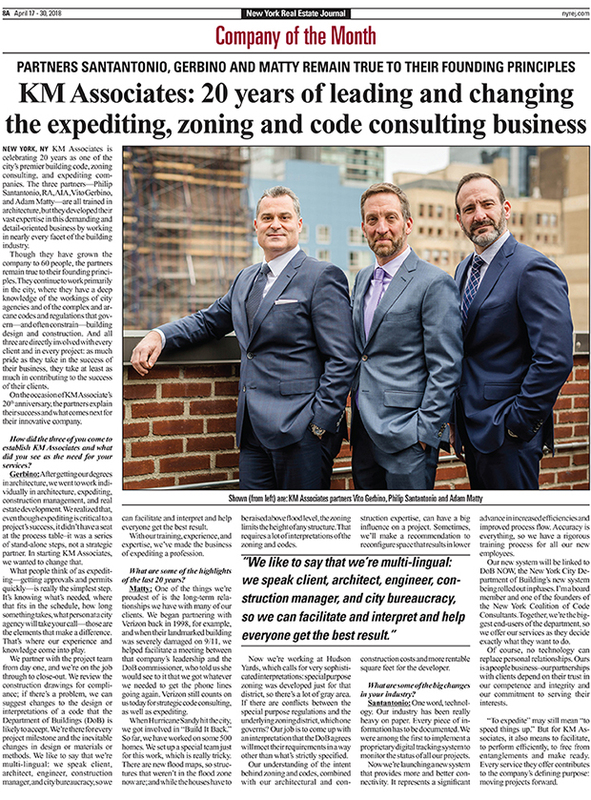 Read our feature in the New York Real Estate Journal where Phil, Vito, and Adam discuss where KMA has been and how the company will be helping to shape the future of the building industry.